It’s the end of an era in the Premier League as one of its greatest ever players, Wayne Rooney, leaves Everton for a transfer to DC United. The former England captain only rejoined Everton from Manchester United last summer, but his second stint at Goodison Park has lasted just a year as he looks to wind down his career in the MLS. 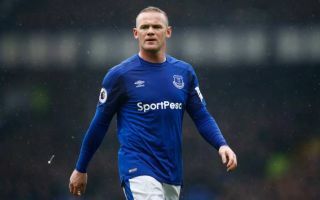 Many big names have increasingly taken that path in recent times, but Rooney will undoubtedly be one of the biggest names to make his way to the US. The 32-year-old will undoubtedly go down as one of the finest ever to play in the Premier League, even if he passed his peak level some time ago and arguably stayed on playing for United and England for too long. Rooney leaves the English top flight after netting 208 times in 491 games at this level, and he also lifted the trophy five times during his years at Old Trafford. It seems like only yesterday he first burst onto the scene as a 16-year-old at Everton, where he first made his name with a stunning late winner against Arsenal in 2002. It’s fair to say Rooney truly made the most of his talent with a big-money move to United when he was still just 18, scoring a hat-trick on his debut to give a glimpse of the quality he’d show for 13 years at Old Trafford.
? | @WayneRooney has today joined @dcunited. Goodbye and good luck, Wayne! ?